The Alienware 15 and 17 laptops are available with options of 8th Gen Intel Core i5, i7, and i9 processors. Dell has also announced its G3 15, G3 17, G5, and G7 15 gaming laptops as well. Alienware and Dell have announced six new Windows 10 gaming laptops. The Alienware 15 and 17 laptops will be available with 8th Gen Intel Core i5, i7, and i9 processors and come with 13 programmable lighting zones supporting full RGB values. The company also expanded the Alienware Arena Rewards and with daily games, users can get Arena Reward Points and Dell Advantage Rewards, which can be redeemed for perks, prizes and discounts on products. Dell also announced its G3 15, G3 17, G5, and G7 15 gaming laptops. The Dell G3 15 and 17 laptops are powered by NVIDIA GeForce GTX 1050 up to 1060 Max-Q discrete GPUs and up to 8th Gen Intel Core i7 CPUs. They come with dual fans and dual drives with SSD options. The Dell G5 and G7 15 come with NVIDIA GeForce GTX 1060 GPUs with Max-Q design technology and feature 6GB GDDR5 dedicated memory. They are equipped with 8th Gen Intel Core processors, with up to Core i7 on the G5 and i9 on the G7. These also sport dual fans and dual drives with SSD options. The Dell G7 15 will be available with an optional 8th Gen Intel Core i9 CPU and a UHD display configuration in late April. Today, Alienware and Dell are launching six new Windows 10 gaming laptops based on the new 8th Gen Intel Core high-performance processors, with significant enhancements over prior generations. Continuing Dell’s commitment to provide the ultimate gaming experience for everyone, Dell is also debuting Dell G Series, revitalizing the Dell Gaming portfolio. This suite of PCs, starting at $749, is designed and engineered for the gamer who prioritizes performance and excellent gameplay. Further expanding its more than a decade-long legacy in esports, Alienware is forging new partnerships with the NBA 2K League, Miami HEAT and Misfits Gaming, and taking its partnership with Team Liquid into unchartered territory for North American esports. These organizations and teams have turned to Alienware for a competitive advantage. Alienware 15 and 17 gaming laptops will offer new 8th Gen Intel Core i5, i7, and i9 processors with up to 6-cores, enabling overclocking up to 5.0GHZ for the first time ever on Alienware’s most powerful family of laptops. To extract maximum performance from Intel’s top powerhouse processors, Alienware mechanically engineered improved cooling technology, Alienware Cryo-Tech v2.0, with 50% thinner fan blades and a vapor chamber on the CPU to cool down the higher number of cores more efficiently. Fusing these breakthrough innovations into new Alienware 15 and 17 laptops adds a measurable 10% performance boost, making AAA gameplay and VR immersion significantly smoother. To help gamers effortlessly yield their most peak performance, Alienware has incorporated the next generation of Alienware Command Center into its latest lineup of laptops. Debuted at CES 2018, this simple yet elegant new interface helps novice and experienced gamers optimize, overclock, and tune Alienware PCs and peripherals to their unique gaming needs. Catering further to user-customization, the Alienware Command Center gives gamers complete control over the Alienware 15 and 17 laptops’ 13 programmable lighting zones supporting full RGB values and up to 16.8m colors, unlocking more than 80 quadrillion possible lighting combinations to explore. Joining the Alienware 15 and 17’s iconic space grey aesthetic, Alienware welcomes a sleek new Epic Black color option in both sizes. Alienware’s active Community Rewards Program, that launched eight years ago, is expanding to new levels. Alienware Arena Rewards now will offer gamification and engagement discounts to all fans. Daily games allow fans to win Arena Rewards Points and Dell Advantage Rewards for perks, prizes and discounts on products. Unlike other programs, Alienware Arena members can earn points through games and community engagement. Once fans earn these points they don’t lose them, fans will continue to grow in level where they’ll be offered level specific incentives including points boost (i.e. earn 2x the number of points for the next 24 hours2) to discounts and other financial benefits when customers join Dell Advantage. Launching along with Arena Rewards is the Alienware Arena Game Vault mobile application, giving customers the opportunity to earn additional points at big gaming events on the go. Fans will have their first chance to start earning these points during PAX East in Boston. Beginning April 3 at 7am CDT fans can text ARENA to 41411 to download (ioS and Android)6 and start winning Arena Reward Points and other prizes. Building upon a fierce commitment to deliver gaming solutions for players of all levels and budgets, Dell is launching an expansive new suite of Windows 10 gaming PCs. All four systems, Dell G3 15 and 17, as well as Dell G5 15 and Dell G7 15, feature gaming-forward design and snappy performance at affordable prices. These new game-ready laptops are equipped with up to powerful NVIDIA GeForce GTX 10-Series GPUs, 8th Gen Intel Core processors, thermal management solutions, intelligent content prioritization software, anti-glare IPS panels, and other complimentary features intended to get gamers fully immersed into their games. Alienware is bringing its PC gaming portfolio and 11-year esports legacy to the NBA 2K League, the first official esports league operated by a U.S. professional sports league. Alienware and Dell hardware will be utilized throughout the NBA 2K League live studio experience during league competitions. Watch the NBA 2K League Draft Clash, powered by Alienware, on Twitch April 6 from 4 to 6 p.m. live from the PAX East Arena in Boston. Miami HEAT and premier esports organization Misfits Gaming recently selected Alienware technology for a competitive advantage for their esports teams. Misfits players will train and stream on all Alienware hardware including the Alienware Aurora desktops, Alienware 15 laptops, AW2518H 240Hz monitors and mixture of Alienware keyboards and mice, ensuring a world class experience. On March 7, Alienware and Team Liquid (TL) celebrated the grand opening of the Alienware Training Facility, setting a new standard for a dedicated esports training. Announced at CES, this tech-rich, 8,000 sq foot space -- designed to mimic the kind of high-tech training offered to traditional athletes -- serves as the new North American Team Liquid headquarters, supporting multiple competitive teams with an in-office chef, sports psychologists, nutritionists, dedicated coaches and analysts. Here, more than 40 Team Liquid staff and players will collaborate daily out of an exciting workspace powered by the newest and most powerful Dell and Alienware technology. Plans are underway with Team Liquid to establish a second training facility in the Netherlands by the end of 2018, which will serve as their new European HQ. In Japan, Team Liquid announced the addition of champion Street Fighter pro AW Nemo, and John Takeuchi to their active roster. As the previous sponsor of AW Nemo, Alienware is proud to help bring two amazing partners together. Announced at CES, Dell was the first and only PC provider to sell the consumer version of HTC VIVE VR headsets. 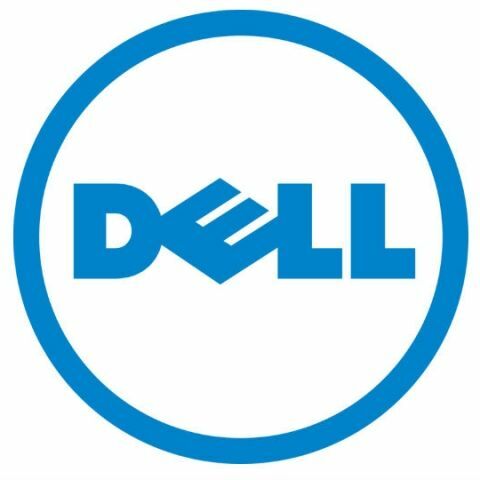 Building upon this partnership, Dell is now among the first to sell the HTC VIVE Pro on Dell.com, providing a single purchase path for all VR needs. Starting at $799 (for the headset only), the VIVE Pro, the most capable, and fully featured Virtual Reality system VIVE has ever made, will be available April 5 in the U.S. on Dell.com, with plans to expand globally later this year. Dell will debut its new Alienware and Dell G Series laptops for the first time at PAX East in Boston April 5-8. All PAX East attendees are invited to drop by Alienware (#12031) and Dell (#12043) booths to get hands-on with the latest VR and PC gaming introductions and test out a variety of engaging game demos. Dell also recently raised the bar when it comes to support, introducing its top-tier consumer support service, Premium Support Plus. Powered by Dell’s exclusive SupportAssist3 technology, it is the first and only consumer service to find issues proactively, predict problems before they start, remove viruses automatically and optimize performance for consumer PCs. Premium Support Plus is available for all Dell G Series and Alienware systems, in addition to XPS and Inspiron PCs.